Browser not supported Please use a browser which supports .mp3 files. Hyperion Strings Micro is an introductory orchestral string library for Native Instruments’ free Kontakt Player, Komplete Kontrol and S-Series Keyboards. This library is the perfect starter pack for songwriters and musicians just getting into orchestral writing, as well as seasoned composers wanting new colors in their orchestral palette. No matter what your creative needs are, you’ll discover the powerful toolset and outstanding audio quality that you’re looking for in this convenient and extraordinarily flexible virtual instrument library. This library has a forward and robust sound unlike any other. Soundiron recorded the string ensemble sections up close on a dry sound-stage - the historic Studio A at Fantasy Studios in Berkeley, CA - and then equipped the interface with plenty of spatialization, environment simulation and positioning controls and options to let you dial in the sound and character you need. It’s perfect for any musical style from rock, pop and EDM, to fully orchestral compositions. The interface is detailed, configurable and feature-rich to allow total customization. However, for all of the bells and whistles Soundiron have designed into Hyperion Micro, they carefully refined every feature to be intuitive and naturally simple to use, with virtually no learning curve. Hyperion Strings Micro includes a combined full ensemble preset, as well as 4 main section presets for the 8 Violins, 6 Violas, 5 Cellos and 4 Double Basses. For this Micro Edition, Soundiron included the most essential core articulations for each section: multi-dynamic sustains both with and without natural vibrato, staccatos, spiccatos and pizzicatos, as well as two basic dynamic expressions: long crescendos and decrescendos. The multi-dynamic sustain, staccato, spiccato and pizzicato articulations allow smooth crossfading across dynamic layers, from piano to forte with the Swell control. In addition to dynamic layering, you can also choose rich, natural vibrato or clean non-vibrato sustain types or seamlessly blend between them with the sustain blend control. You can also instantly switch the staccatos, spiccatos and pizzicatos to velocity sensitivity mode and control dynamics directly as you play. The pizzicatos also allow manual or automatic switching between naturally loose flams and precise tight plucks that adapt to your speed. Each of these short articulation types also features two “round-robin” variations per note. The Crescendo and Decrescendo expressions allow real-time dynamically-aware release sample triggering, tempo-synching and time-stretching. These are a great introduction to our broader “Expressions” concept for modular arrangement. 24-bit, 48 kHz Stereo Lossless NCW Format. 5 master section presets: Ensemble, Violins, Violas, Cellos, Basses. Multi-dynamic sustains, with smooth real-time control over natural vibrato and dynamic transitions. Multi-dynamic staccatos, spiccatos and pizzicatos with 2x round-robin. Dynamic auto-release and tempo-synching for Crescendo and Decrescendo expressions. Flexible and intuitive user interface with pro features, deep customizability and simple workflow. Free soundstage positioning for each section within dozens of custom rooms, halls, chambers and FX environments. Adaptive Play Assist and Arpeggio systems for instant inspiration. 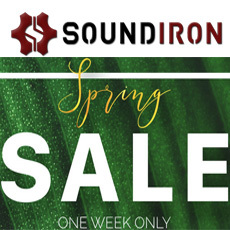 Made for the free Kontakt Player (version 5.7.3+), Komplete Kontrol, all S-Series Keyboards and NKS software and hardware by Native Instruments. The following reviews have been placed by customers who also bought this product from us. All reviews are provided through eKomi, Europe’s largest independent customer review company. I use Hyperion strings in compositions and will be using it live very soon. It`s very convincing and has wonderful options and FX! For the price, it`s actually UNBELIEVABLE and I`m glad I didn`t hesitate to purchase it. Thanks for a great product at an affordable price! The latest NI Kontakt Player is included in this product! Please check the product description for the required Kontakt version. Q: Can I use the included Kontakt Player for playing other libraries in Kontakt format (.nki plus .wav files)? Q: When trying to "Add Library" my Kontakt shows a message "No Library found"
This product requires Native Access for installation, registration and activation. Start the Native Access-Software and log in using your Native Instruments credetials to start the setup. To sucesfully activate your product Native Access requires a working internet connection. An Offline Activation on a different computer is Not Available with this product.